“If you’re going to drink, don’t drive”. This is excellent advice, but thousands of drivers will be charged this year with driving under the influence (DUI) just the same. Not all of these drivers deserve the penalties that accompany a first time DUI, and it’s actually possible to be incorrectly charged with a DUI. Given what a DUI conviction can mean in terms of driving privileges in the state of Oklahoma, a driver would be unwise not to contest such a verdict, but instead should consult with a Claremore DUI lawyer. While the purpose of all DUI laws is to punish inebriated drivers and to keep repeat offenders off of the roadways, drivers should understand that there are variances to these laws by state, and sometimes even between communities within a single state. It’s important that drivers understand these differences, both to avoid running afoul of regulations, and to protect their rights.Oklahoma makes a distinction between the conditions of DUI and DWI (driving while impaired), which has to do with the driver’s Blood Alcohol Level (BAC). Not all states make a clear distinction between DUI and DWI, but in Oklahoma, drivers with alcohol in their system but a BAC of under (0.08%) are considered DWI, while drivers with a BAC of or over (0.08%) are considered DUI. The penalty differences between a DWI and a DUI in Oklahoma are significant. While earning either one is not preferable, DWI offenses generally do not indicate criminal prosecution or revocation of driving privileges for a single incident. Both are possible with a DUI. Oklahoma police can also arrest drivers whom they suspect of being intoxicated, even if they are not driving, the car is not in motion and is safely off of the roadway, and the driver is unconscious and is causing no harm to property or to the public. Conditions that allow such an arrest are known as actual physical control (APC). The argument behind such a charge is that the driver was aware of intoxication, and could have resumed driving at any time, causing potential property damage and injury. An APC conviction should not be taken lightly, as the penalties are the same as for a DUI conviction. Licenses are automatically suspended for up to thirty days when pulled over for a suspected DUI, unless drivers choose to contest this. Police and courts are not obliged to inform drivers that they have this right. Fines can be charged up to $1,000, with a minimum of an additional $300 applied as DUI fees. Fine and fee expenses noted do not cover costs incurred during completion of other terms of criminal sentencing, or during administrative (license) reinstatement processing. If found guilty of DUI, for a first offense, a driver’s license is suspended for six months. Jail sentences of anywhere from thirty days to twelve months can be part of a DUI conviction. Fines and incarceration penalties increase significantly if a minor is present in a vehicle during a first offense, with potential incarceration of not more than four (4) years, with fines of not more than $2,000. A first offense DUI conviction affects future DUI cases, including charges and sentencing, for a ten year period. For a second offense, a driver’s license is suspended for one year. For a third offense, a driver’s license is suspended for three years. If a driver is charged with a second DUI within ten years of having received a first one, and has been driving with a minor in the vehicle, and/or caused bodily injury or death to another person, than the driver’s DUI could be elevated from a misdemeanor to a felony. Such a conviction carries the potential of a jail sentence ranging from one to twenty years, in addition to permanent loss of a driver’s license. In Oklahoma, in addition to potentially be charged with a misdemeanor or felony level DUI, an individual can be charged with what is known as aggravated DUI. Such a charge is levied when the accused has a BAC of 15% or higher. While such a charge is generally a misdemeanor, those convicted of a aggravated DUI must attend a mandatory month long in-house treatment program at a substance abuse facility. The best DUI advice that any lawyer can offer? 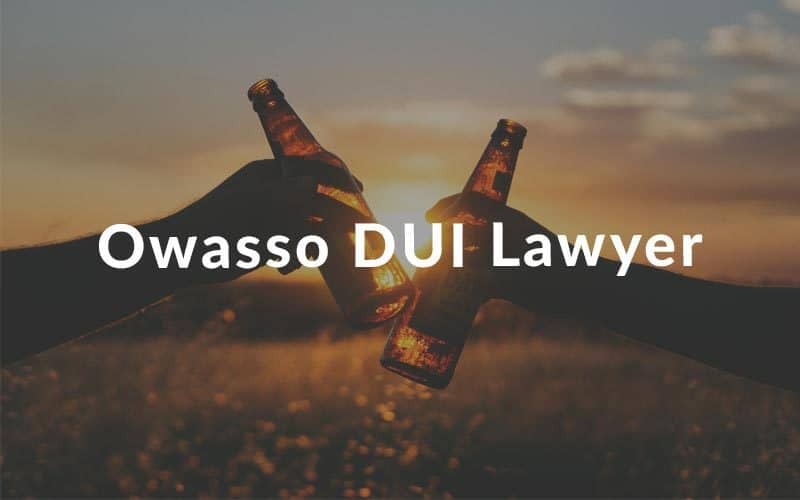 “Never drink and drive!” But if an individual should ever find themselves accused of DUI, than they should not hesitate to consult a Claremore DUI lawyer to get the assistance and due process that they are entitled to.